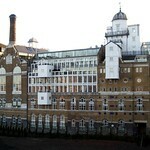 The Anchor Brewhouse was a small brewery by Shad Thames in Horsleydown, near Tower Bridge in London. The brewhouse was bought in December 1787 by John Courage. The building still stands, although it has not been a brewery for a long time: Boilerhouse, Brewhouse and Malt Mill still show the different functions in the process of beer making. 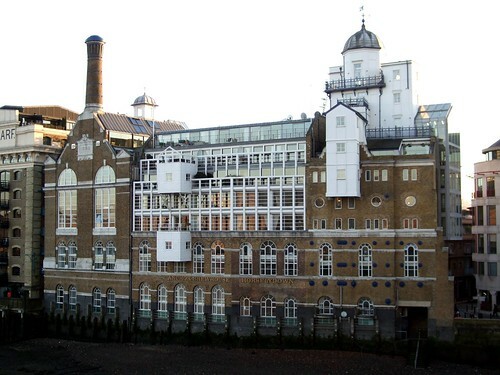 The building is an expression of historical continuity, for brewing on the river has always been an important features of London's Thames-side. Brewing in Southwark is mentioned by Chaucer, and in Horselydown by Shakespeare. The building was restored and reconstructed in 1985-1989 and converted into luxury residential flats. 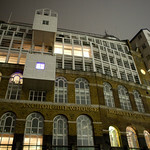 It is now a Grade II listed building situated in the Tower Bridge Conservation Area in Butler's Wharf. The Anchor Tap pub that was the brewery tap is still open nearby. The pub is run by Samuel Smith.